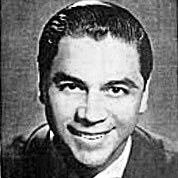 Historia de un Amor (Spanish for “a love story”) is a song about a man’s old love written by Panamanian songwriter Carlos Eleta Almarán. It was written after the death of his brother’s wife. It is also in the soundtrack of a 1956 Mexican movie of the same name starring Libertad Lamarque. The song tells of a man’s suffering after his love has disappeared. It may be interpreted that love is a story for a woman but it’s just an episode for a man.